The May 1923 (Vol. 1, No. 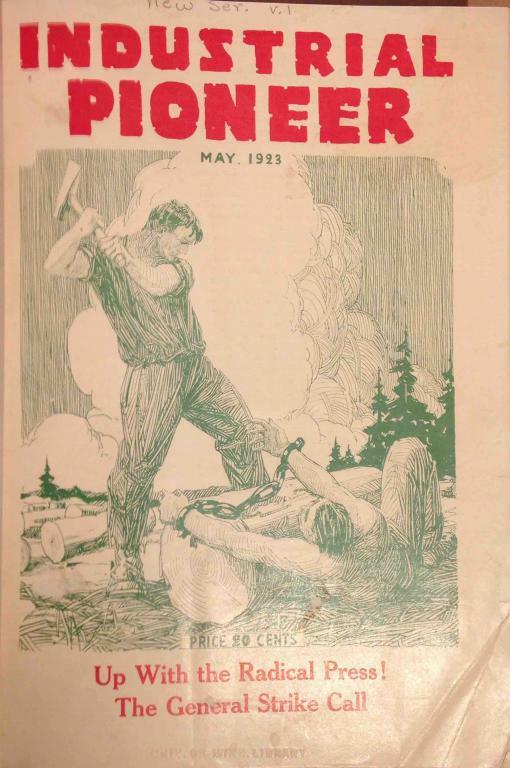 1) issue of the Industrial Pioneer, an early publication of the Industrial Workers of the World. -Go east, young man! by A. Sonnefelder, Jr.
-The electronic reactions of Abrams by "Observer"